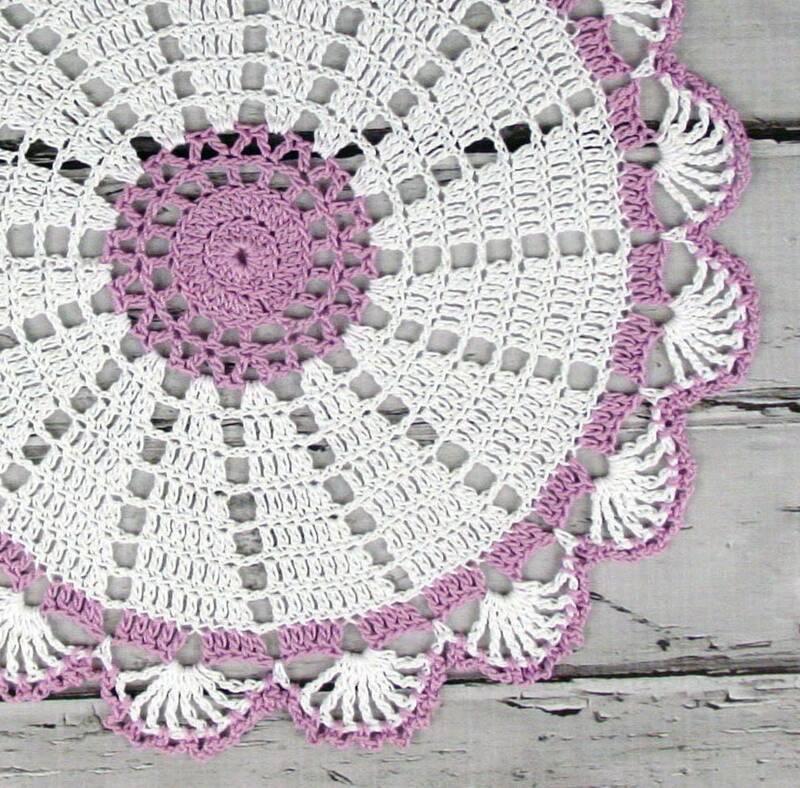 Up for sale is a lovely doily hand crocheted by me. 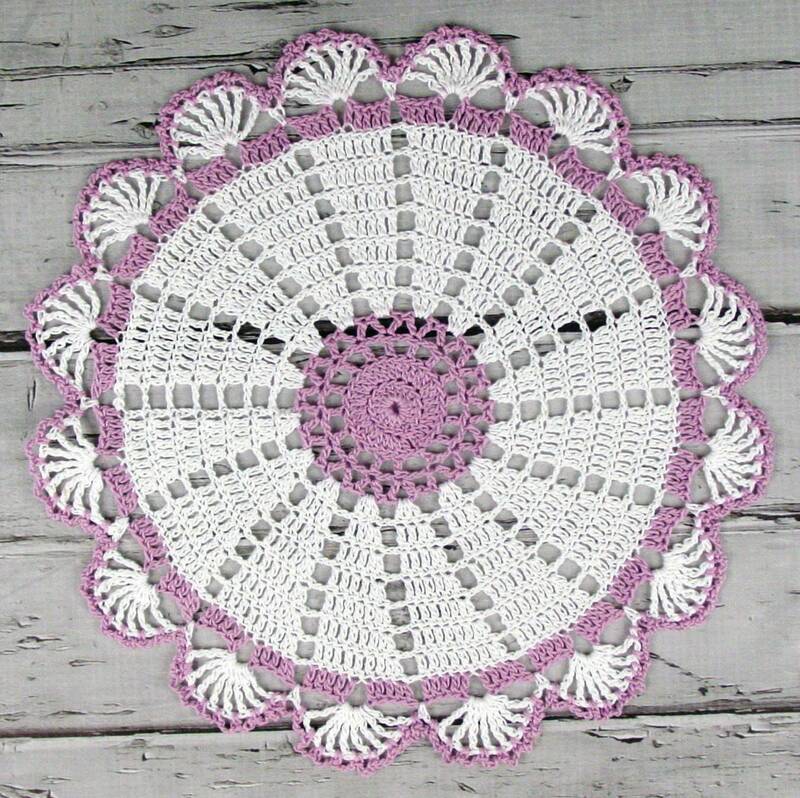 I used size 10 crochet thread in white and wood violet. It measures approx. 10 1/2 inches. 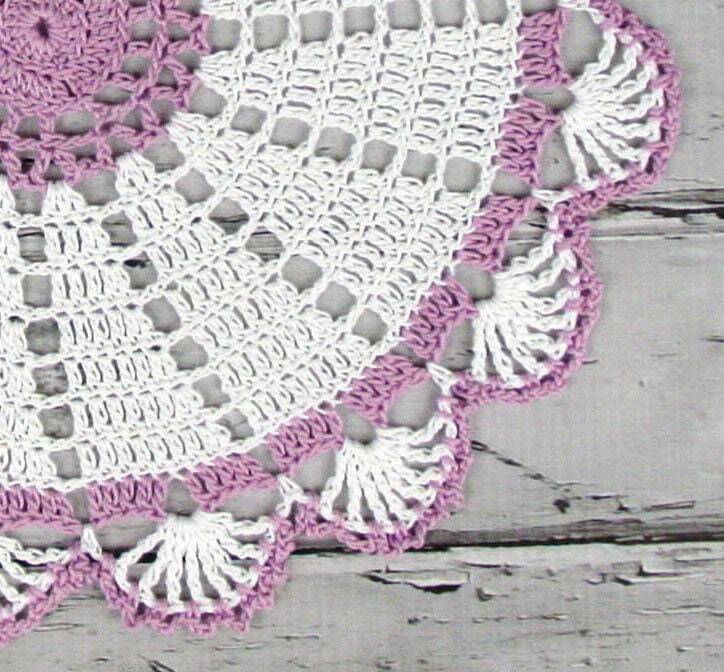 All my doilies are gently hand washed to block, rinsed very lightly in liquid starch to hold their lovely shape, and ready for display.